You wanna know how I got these SCAR-Ls? Did you love DC's 2016 hit film Suicide Squad? Did you love it so much that two years later you're willing to pay almost $25 to dress up like Harley Quinn in PlayerUnknown's Battlegrounds? 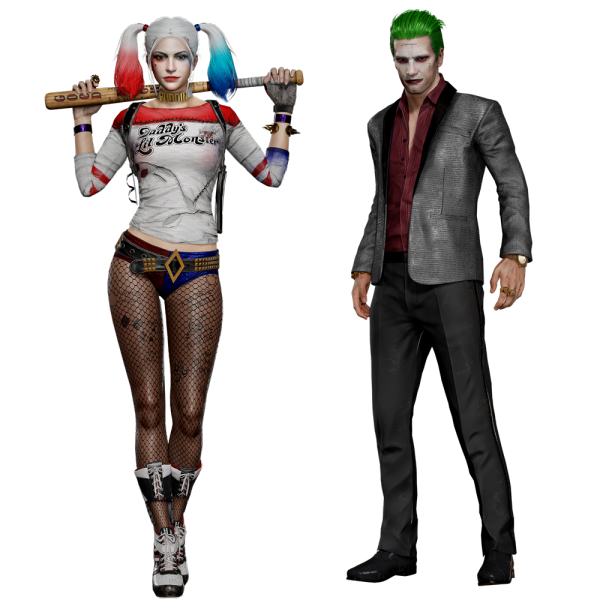 PUBG is offering players a chance to purchase either a Harley Quin skin for $24.99, or a Joker skin for $19.99. PUBG usually retails for $30. Both are from the 2016 Suicide Squad film incarnation, so don't expect to get any of the better designs from the characters' past. This feels like a poor counter to that one time Fortnite had that Marvel crossover event where players could play as Thanos. The free event might not have come with a skin to keep, but it was fun, and it was all anyone could talk about for a week. I don't think we'll be talking much about this DC crossover event as much. After popularizing the battle royale genre PUBG has fallen behind some of its competitors like Fortnite and Call of Duty. We're expecting some big PUBG news at the X018 event in Mexico City this weekend though, so we'll see where the game will go in the future. In the meantime, you can get PUBG on Xbox One for free to keep, but only for a limited time so download it quickly. Also be sure to check out our PUBG guide for the best tips and tricks to get started.